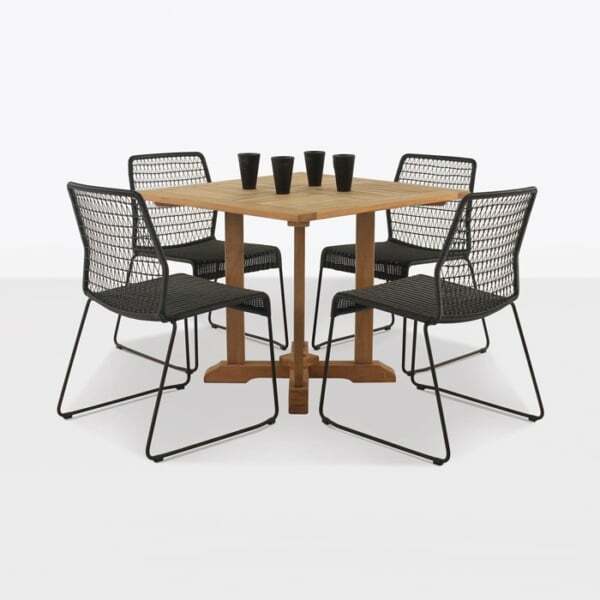 Outdoor dining is easy and enticing with this a-grade teak dining table and Edge wicker chairs in black. 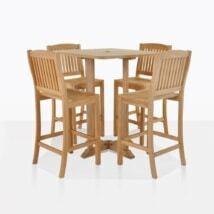 The 35″ square pedestal table fits four Edge side chairs comfortably for an intimate meal outdoors. The chairs add a modern vibe that goes well with the classic table allowing this set to go in many outdoor settings. 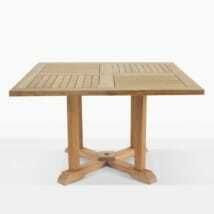 The table comes fitted with an umbrella hole so you can choose to add shade. 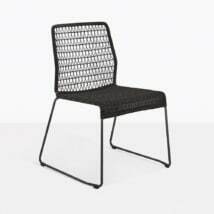 The black Edge chairs are made with an outdoor wicker weave and powder coated steel frame, making this set durable for the outdoors. 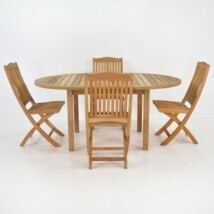 For more information on this outdoor dining set please call 800.343.7707, we are open 7 days a week.